Black Bean Soup Chipotle "Smoke"
On an outing to Barnes and Noble I fortunately found Chipotle: Smokey Hot Recipes for all Occasions by Leda Scheintaub. As soon as this book caught my eye. I knew immediately it was going to come home with me. Chipotles are smoked dried jalapeños. Chipotles are available for cooks in 3 ways: whole dried, powder, and canned in Adobe sauce. 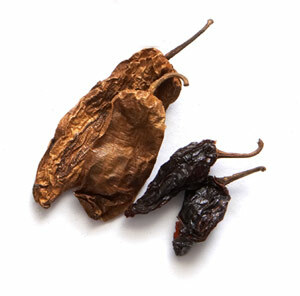 There are two varieties of dried Chipotle chiles:Meco and Morita. The Moritas, availabe whole and ground, are a smaller chile with a dark red and black color. The light brown Meco are larger. Both chiles have some heat from the fresh Jalapeño, but they are less intense and a bit nutty in flavor from the smoking process. It is possible, but apparently not very practical, to smoke and dry your own Chipotles from fresh Jalapeños. A Message Board contributor tried smoking the jalapeños in a stovetop smoker, but "they deflated and look like roasted chilis. Another answered "That will give you the chipotle flavor (smoked jalapeños) but then you have to dry them... in a dehydrator if you have one, or by some less expensive option. I've not dried peppers this way, but I've dried a lot of other things by turning the oven on the very lowest temp and placing the food on a rack, placed in a sheet pan. After 10 minutes, turn the heat off, then after 30 minutes, turn it back on for another 10.... repeat this for 4 to 6 hours. Check the peppers after each heating cycle to see if they're done." Chipotles are simply smoked Jalapeño peppers. The secret is to dry out the chilies in a smoke environment without cooking them first. Keep the temperature low for the best Chipotle peppers. You can then use them as flavoring for everything from soups to salsa. First of all you need a good clean smoker. Grease, oils or food particles from past smokes will leave a harsh and undesirable flavor on the chilies. Some people who make a lot of chipotles have a smoker for just this. Once you have the smoker good and clean, start the fire. You will need to do a long smoke. Depending on the moisture in the chilies you might be looking at more than 24 hours so plan on adding coals to the fire periodically. Wash and dry the jalapeños. Remove the stems and make sure the jalapeños are in good condition. Place the jalapeños in a single layer on the rack and close the lid. Chipotles are best smoked with a fruity wood, but oak or hickory work well also. You will have good chipotles when the jalapeños have dried, become light in weight and a rich brown color. During the smoking process move the jalapeños around periodically and keep a close eye on the fire. Ideally you should keep a cool, smoky fire that doesn't cook the chilies before they dry. Try for a consistent temperature of about 180 degrees. There really is a art to this so don't be discouraged if it doesn't work out the first time. Americans who love the smoky taste and fiery bite of chipotles have recently been hit with high prices and a scarcity of product. With prices for these smoked jalapeños reaching $15 a pound wholesale, home growers yearn to smoke their own. But the Mexicans have been fairly secretive about their techniques, and none of the books on chiles describe home smoking. After a trip to Delicos Mexico, I think I have solved this mystery -- but the process takes some dedication. First, let's look at how the Mexicans do it. Mexicans use a large pit with a rack to smoke-dry the jalepeños. The pit containing the source of heat is underground, with a tunnel leading to the rack. The pods are placed on top of the rack where drafts of air pull the smoke up and over the pods. The jalapeños can be whole pods or pods without seeds. The latter are more expensive and are called “capones”, or castrated ones. It is possible to make chipotle in the back yard with a meat smoker or Weber-type barbecue with a lid. The grill should be washed to remove any meat particles because any odor in the barbecue will give the chile an undesirable flavor. Ideally, the smoker or barbecue should be new and dedicated only to smoking chiles. The quality of homemade chipotle will depend on the maturity and quality of the pods, the moisture in the pods, the temperature of the smoke drying the pods, and the amount of time the peppers are exposed to the smoke and heat. The aroma of wood smoke will flavor the jalapeños, so carefully choose what is burned. Branches from fruit trees, or other hardwoods such as hickory, oak, and pecan, work superbly. 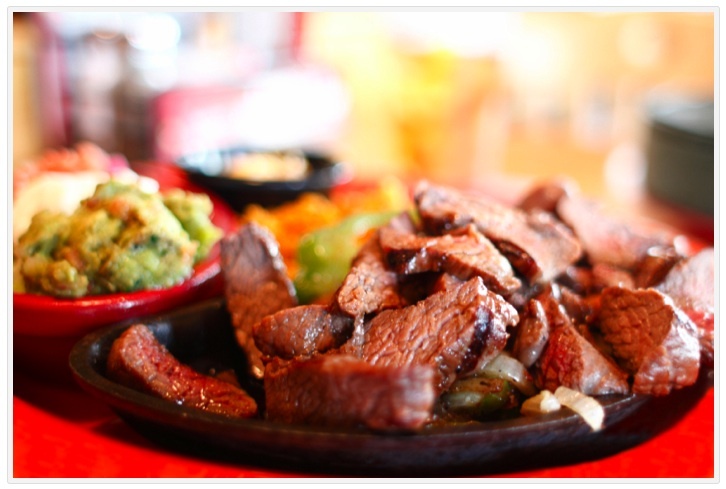 Pecan is used extensively in parts of Mexico and in southern New Mexico to flavor chipotle. Do not be afraid to experiment with different woods. The difference between the fresh weight of the fruits and the finished product is about ten to one, so it takes ten pounds of fresh jalapeños to produce approximately one pound of chipotles. A pound of chipotles goes a long way, as a single pod is usually enough to flavor a dish. First, wash all the pods and discard any that have insect damage, bruises, or are soft. Remove the stems from the pods before placing the pepperrs in a single layer on the grill rack. Start two small fires on each side of the grill with charcoal briquets. Keep the fires small and never directly expose the pods to the fire so they won't dry unevenly or burn. The intention is to dry the pods slowly while flavoring them with smoke. Soak the wood in water before placing it on the coals so the wood wil burn slower and create more smoke. The barbecue vents should be opened only partially to allow a small amount of air to enter the barbecue, thus preventing the fires from burning too fast and creating too much heat. A sweet, smoky, spicy treat. Stir together the butter, honey, and kosher salt in a large saucepan over medium heat until the butter has melted, and the mixture is bubbly. 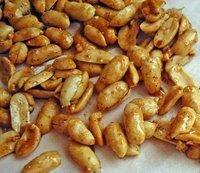 Stir in the peanuts until well coated, then pour out into a 9x13 inch baking dish. Heat deep skillet or wide pot over medium high heat. Add oil and turkey. Crumble meat as it cooks, 3 minutes. Add the onions and garlic, chili powder, and chipotle. Cook another 5 minutes. Season with salt. Add beer and cook another minute, stirring to loosen any bits from the bottom of the pan. Add the stock, tomatoes, and beans and bring to a bubble. Reduce heat and simmer 10 minutes. 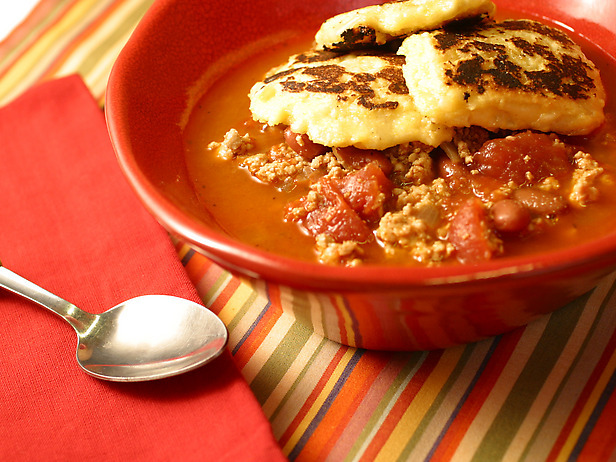 Serve bowls of chili with cheese-corn toppers -- like a spicy, corn topped chili pot pie. 1. Place the rice and water in a medium saucepan, and bring to a boil. 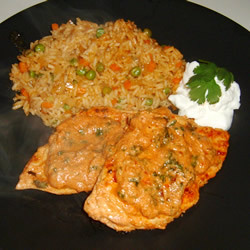 Reduce heat to low, cover, and cook 20 minutes, or until rice is tender and water is absorbed. 2. Melt the butter in a skillet over medium heat. Stir in the garlic, and cook about 30 seconds. Stir in the red wine, Worcestershire sauce, chipotle peppers in adobo sauce, and salt. Mix in the shrimp, and cook 5 minutes, or until opaque. Serve over the cooked rice. Sweet and spicy sauce is great brushed onto grilled chicken and steaks, it's also great for marinating. Place chilies, maple syrup, garlic, and soy sauce into a blender. Puree until smooth. Chipotles in adobo sauce are dried smoked red jalapeno peppers, which are canned with a thick chili puree called adobo. They can be found in the Mexican section of your local supermarket. Like all hot peppers, handle these chilies and their sauce with care so they don't burn your skin or eyes. Unused chipotle peppers can be frozen. Individually freeze the peppers with some sauce on a lined baking sheet, then store in a resealable plastic freezer bag for up to 3 months. Grill steaks, uncovered, over medium-hot heat for 6-10 minutes on each side or until meat reaches desired doneness (for medium-rare, a meat thermometer should read 145 degrees F; medium, 160 degrees F; well-done, 170 degrees F). Serve with sauce. Nutritional Analysis: 1 steak with 2 tablespoons sauce equals 517 calories, 36 g fat (16 g saturated fat), 144 mg cholesterol, 174 mg sodium, 2 g carbohydrate, trace fiber, 41 g protein. In a bowl, mix the peaches, onion, garlic, ginger, chipotle peppers in adobo sauce, cilantro, and lime. Season with salt and pepper. Chill until serving. Purée all ingredients except bean liquid in a food processor. Gradually add the minimum amount of chickpea liquid required to give the mixture a thick, creamy, smooth consistency. Blend until all graininess is gone. Cover and refrigerate at least 1 hour. Note: Using 4 chiles makes this hummus mildly spicy. Chicken legs are roasted, then simmered in a spicy, chipotle cream sauce for a true Mexican chicken recipe. 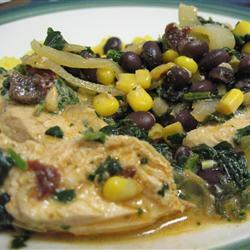 Serve it with rice and salad, and don't forget the warmed corn tortillas! 2. Roast the chicken legs in the preheated oven until the skin is crispy, and the meat is cooked through, 30 to 40 minutes. 3. While the chicken is roasting, puree the milk, sour cream, chipotle peppers, and chicken bouillon granules in a blender until smooth. Melt the margarine in a large pan over medium heat. 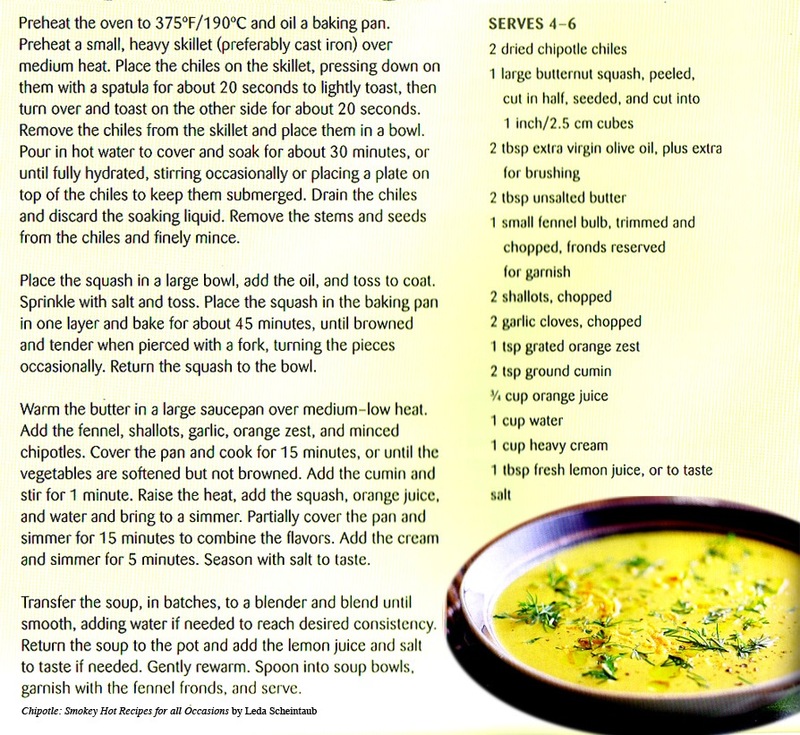 Pour in the chipotle puree, bring to a simmer, reduce heat to low, and season with salt to taste. Add the cooked chicken legs, and simmer for about 10 minutes, until chicken has taken on the flavor of the sauce. "Great Mexican dish! 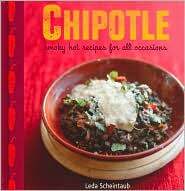 Spiciness can be altered by adding or subtracting to amount of chipotle pepper seeds." 1. Combine chopped chile peppers with 2 tablespoons sour cream. Mix together and spread mixture over chicken breasts. Sprinkle lightly with salt to taste, cover and marinate in refrigerator for at least 2 hours. 2. Place marinated chicken in an ungreased 9x13 inch baking dish and broil for about 5 minutes (rack should be about 6 inches from the top.) Pour 1 cup sour cream around edges of chicken and turn over chicken breasts. Broil for an additional 5 minutes. Sour cream should be lightly brown on the edges. Move breasts into a separate dish and cover to keep warm. Set aside. 3. Pour leftover broiled sour cream into a medium saucepan over high heat. Add spinach, broth and salt to taste. Boil for about 1 minute until all melted and mixed together. Pour mixture over chicken breasts and serve. Wearing rubber gloves, finely chop Chipotle peppers. In small bowl, whisk together chipotles, mayonnaise, adobo sauce and Worcestershire sauce; set aside. Sort beans, discard stones. Soak overnight, covered with 2 inches of water. Drain the beans and rinse several times in cold water. Set aside. Place oil in large, heavy pot over medium heat, add onion, cook 15 minutes, or until wilted, adding the garlic during the last 5 minutes. Add reserved beans, water, bay leaves, dried chili, cumin and oregano. Gently bruise the cilantro sprigs. Tie them together and add to the pot along with 2 tablespoons chopped parsley. Bring to boil, reduce heat to medium and simmer, uncovered for 1 1/2 hours, reducing the heat if necessary. Skim any foam that rises to the surface. Discard the cilantro and bay leaves. Remove 2 cups of the soup along with any garlic pieces and puree. Stir the puree back into the soup. Season with salt and pepper. Add bell pepper, sugar, sherry, lime juice and 2 tables of parsley and the chopped cilantro. Cook for 30 minutes. Serve in bowls over rice, with lime, a drizzle of sherry, some sour cream. 2 Green chiles just burnt enough to bubble and blacken the skin with the torch diced and set aside. 3-4 limes juiced, keep juice. add a bit of cumin, oregano, and garlic (I add LOTS of garlic and cumin, i love it) to fit your taste. Fully tenderize chicken breasts... and I mean these babies should be damn near pre chewed. Throw everything above ina ziplock baggie, add a tablespoon of water and a bit of that Liquid smoke stuff and squish it all around to cover everything. Leave in fridge overnight. Slow cook these at 200-225~ just 'till they're cooked through, and eat 'em. The slower you cook them, the better they'll be. I promise you'll like it if ya like spicey food. Wash beans, heat with 2 qt water, bring to boil and cook until just tender (ca 1 hr). Dont overcook them. Turn off, and let cool in the water. Drain. Whisk the oil, vinegar and mustard together. Pour over beans in large bowl. Add chiles, scallions and oregano. Season to taste with salt and pepper, and mix well. Try not to break the beans. Marinate refrigerated for at least 24 hours before serving. Serves 8-10. If you like really spicy food then add more chipotle purée. You can also add a bit of soy sauce when grilling meats like pork and beef; the saltiness is a great addition. 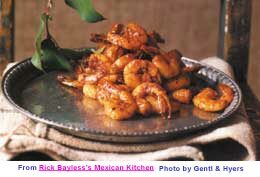 This recipe, posted on YouTube, is take off on Rick Bayless's Chipotle Shrimp. Best of course will be Rick's version. Purée in a food processor the garlic, the 2 tomatoes and the 2 chipotles. Marinate the shrimp in the oregano, lime juice, and sugar for short time, 2 minutes. Sauté the onion in a fry pan until golden. Add the chipotle / tomato purée. Cook for a couple of minutes. Add the shrimp along with lime juice. Cook until done. Rick Bayless, one of America's finest chefs, specializes in Mexican cuisine and is owner of Frontera Grill in Chicago. He generously shares his recipes on his site. Roasting the flavorings. On an ungreased griddle or heavy skillet set over medium, roast the garlic cloves, turning occasionally, until soft (they will blacken in spots), about 15 minutes. Cool and peel. While the garlic is roasting, lay the onion out on a small square of foil, set on the griddle and let sear, brown and soften, about 5 minutes per side. Roast the tomatoes on a baking sheet set 4 inches below a very hot broiler until blackened in spots and soft, about 6 minutes; flip and roast the other side. Cool and peel, collecting all the juices with the tomatoes. The sauce. Combine all the roasted ingredients in a food processor or blender, along with the pepper, cloves and 1/4 cup water. Process to a medium-smooth puree. In a very large (12-inch) skillet, heat the oil over medium-high. When hot enough to make a drop of the puree sizzle noisily, add it all at once. Stir for several minutes as the mixture sears and darkens, then reduce the heat to medium-low and continue to cook, stirring regularly, until very thick, about 5 minutes. A tablespoon at a time, stir in the chopped chipotles, tasting until the thick salsa suits your own penchant for spiciness. (I think these are best when they’ve reached the upper levels of heat.) Taste, season with salt and remove from the heat. Return the skillet with the sauce to medium-high heat. Add the shrimp, then slowly stir and turn for about 3 to 4 minutes, until the shrimp are just cooked through. (The sauce should nicely coat the shrimp, though it won’t really pool around them.) Taste a shrimp, sprinkle on a little more salt if necessary, then pile up the crustaceans on a rustic platter and carry them to the table. Checkout Cookbooks by Rick Bayless who has been acclaimed widely as America’s foremost proponent of Mexico’s thrillingly diverse cuisine. In his five cookbooks, he focuses on classic Mexican dishes, delving into their traditional foundations, cooking methods and cultural backgrounds. Fiesta at Rick's by Rick Bayless with Deann Groen Bayless. (W.W. Norton & Company, 2010). If you don’t have time to make your own hummus, buy some at the market or specialty foods store, and mix in chipotle chilies and cumin to taste. Reserve 3 tablespoons garbanzo beans for garnish. Blend remaining garbanzo beans and next 7 ingredients in processor until smooth. Add pimientos; process, using on/off turns, until pimientos are coarsely chopped. Transfer hummus to medium bowl. Stir in cilantro. 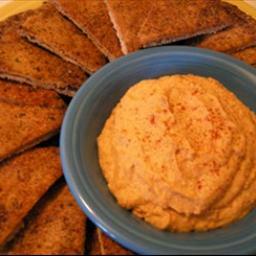 Season hummus to taste with salt and pepper. Sprinkle with reserved garbanzo beans. (Can be made 1 day ahead. Cover and chill. Bring to room temperature before serving.) Accompany with bagel chips. *Sold at Middle Eastern markets, natural foods stores and some supermarkets. Process cilantro, olive oil, lime juice, and salt in a blender or food processor until smooth. Place lamb chops in a large shallow dish or heavy-duty zip-top plastic bags. Pour oil mixture evenly over chops. Cover or seal, and chill 2 hours, turning occasionally. Soak wood chips in water 30 minutes. Remove chops from marinade, discarding marinade. Sprinkle chops evenly with salt and pepper. Chipotle and Cilantro Oils; garnish, if desired. Inspired by New York restaurant One If By Land, Two If By Sea, this recipe requires that scallops be laced with chipotle oil, dotted with basil puree, and finished with a sprinkle of diced mango and a spoonful of basil seeds. Cilantro and black olives are added too. Preheat oven to 375 degrees. Combine the potatoes, oil, and seasonings in a bowl. Put on a lightly oiled cookie sheet and bake for about 30 minutes. Remove from oven, blot lightly to remove excess oil, and let cool a little. Puree until fluffy in a food processor. 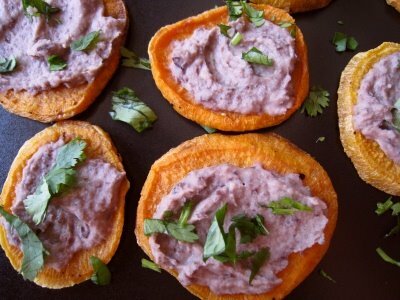 Top sweet potatoes with a little black bean spread and sprinkle with chopped cilantro. Add vermouth and shallot to a small sauce pan over high heat. Reduce until about 1 tbsp of liquid remains, stirring occasionally, about 5 minutes. Add cherry-lime juice, chipotle puree and salt to pan. Reduce until syrupy and thick, stirring frequently. Turn off heat. Add one cube of butter at a time, whisking constantly until the cube has been completely incorporated before adding the next cube. Repeat this process with the remaining cubes of butter to form an emulsified sauce. Strain the sauce using a fine mesh strainer. Serve immediately or place in a double boiler over simmering water until ready to serve. If the sauce sits at room temperature or is over-heated it will separate. 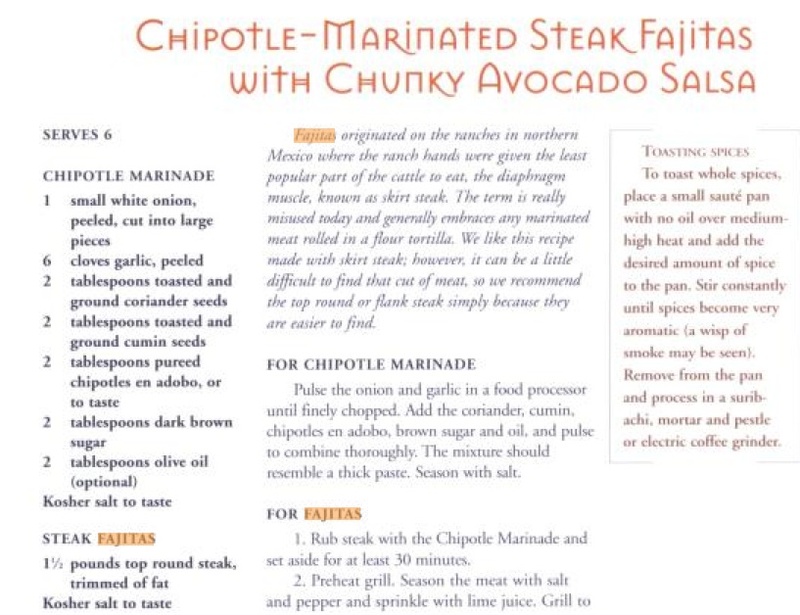 I am not sure how to make the chipotle cream. I suspect the mixture should be food processed because there were no bits in the sauce. Perhaps chipotle powder is the answer. Pierce poblano 2 times with the tip of a knife. Place poblano on a foil-lined baking sheet; broil 10 minutes or until blackened, turning occasionally. Place in a zip-top plastic bag; seal. Let stand 15 minutes. Peel and discard skins. Cut a lengthwise slit in poblano; discard seeds and stem. Finely chop poblano. Combine poblano and remaining ingredients. Refrigerate in an airtight container for up to 2 weeks.